Bundesliga | Chicharito wins vote for the best Bundesliga goal by a Latin player! Chicharito wins vote for the best Bundesliga goal by a Latin player! 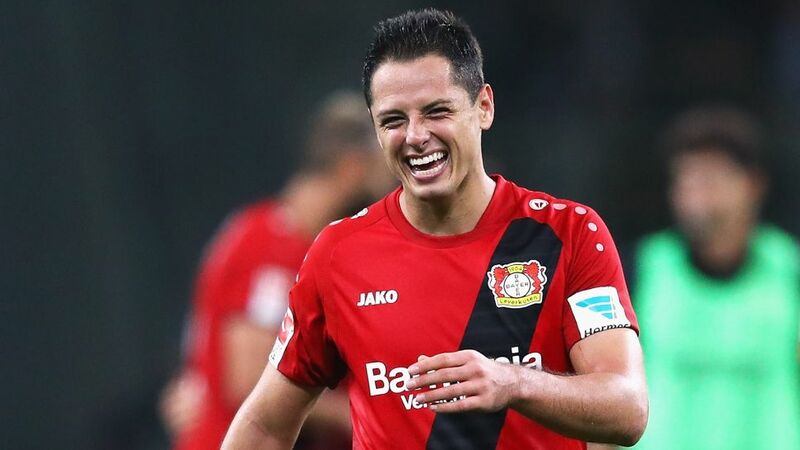 Bayer 04 Leverkusen striker Javier 'Chicharito' Hernandez has won our vote to find the best goal scored by a Latin player in Bundesliga history. Add a sprinkling of Latin star dust to your Official Fantasy Bundesliga squad now! The Mexican superstar was up against efforts from Raul, Grafite, Arturo Vidal and Claudio Pizarro, all of whom are among the best Latin players to have graced Germany's top flight, and all with an innate nose for goal. Thousands of votes were cast across the globe on our Spanish-language Twitter channel, @Bundesliga_ES, but in the end there was a clear winner: Chicharito. Check out bundesliga.com/es for all the latest from the Bundesliga in Spanish right here! Recap each candidate's moment of magic in the video and description below. Enjoy! FC Schalke 04 will remember Raul’s exquisite lob against Köln in 2011 as though it was yesterday. The former Spain international forward lifted the ball over the onrushing Billy Goats goalkeeper Michael Rending to score the Royal Blues’ fourth goal in an eventual 5-1 victory. Vidal had yet to open his Bundesliga account for Bayern prior to the league leaders’ trip to Darmstadt on Matchday 5 of the 2015/16 season, but he did so in some style at the Merck-Stadion am Böllenfalltor, hitting a swerving effort past Christian Mathenia from a full 25 meters. Grafite’s astonishing solo goal against Bayern in 2009 lives long in the memory of VfL Wolfsburg fans in particular. The Brazilian striker dribbled past three Bayern defenders before rounding the keeper and back-heeling the ball into the bottom corner. Javier 'Chicharito' Hernandez scored arguably his best goal of his Bayer 04 Leverkusen career to date on Matchday 28 of last season. Die Werkself’s Mexican megastar picked the ball up on the edge of the box, took one touch and curled an unstoppable shot into the far bottom corner. When you watch Pizarro’s strike against Hannover 96 in March last year, it is easy to see why the veteran SV Werder Bremen striker is the Bundesliga’s leading foreign goalscorer of all time. The Peruvian took two defenders out with a deft touch before turning and crashing a half-volley into the roof of the net.